HCT Group is a social enterprise providing transport services and community services in London and Yorkshire. 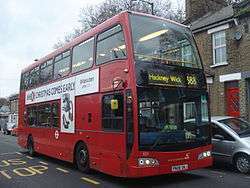 It was founded in 1982 as Hackney Community Transport in the London Borough of Hackney to provide transport services for local voluntary organisations, charities and community groups. HCT Group is registered as a company limited by guarantee (and has therefore no shareholders). The company is also a registered charity. The HCT Group was founded in 1982 and in 2014 had a fleet of 500 vehicles and a turnover of £43.7m and employs over 700 people. In June 2011 it reinvested 37% of annual profits into local community services, its best performance to date. 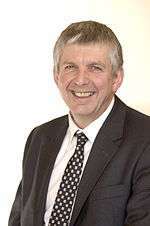 Its chief executive, Dai Powell, joined the social enterprise as a bus cleaner. Ash Grove bus garage is CT Plus' only London garage and as at May 2015, operated routes 153, 309, 385, 388, 394, 675, W5, W12, W13 and W19. On 17 October 2015, route 675 will pass to Go-Ahead London. It also operates Plus Bus route 812. This depot is shared with Arriva London. On the 27th of February 2016, CT Plus required the 26 route. By 26 November 2016 CT Plus commences W19. In 2001, CT Plus began operating route 153. In 2003, CT Plus began operating route 388 and route 394. As at May 2015, the Transport for London fleet consisted of 75 buses. HCT provides education services supported by the Learning and Skills Council and the London Development Agency. The courses include bus driver training, particularly for women; social care and management. The British government has promoted the delivery of public services by not for profit organisations (the third sector). British prime minister David Cameron has stated that he wants more social enterprises running public services as part of his "Big Society". Charitable legal website Get Legal described HCT's corporate structure as allowing HCT Group to "separate the risks associated with its business in different limited liability vehicles. The social mission of each of those vehicles is protected (either through charitable status or through being CICs) which sends a clear message to the public that the organisation is a social enterprise. HCT says it aims to "demonstrate and promote the social enterprise business model as a highly effective and socially responsible mechanism", and that it maintains environmental, health and safety and social policies, and regularly measures its performance against these. Profit is seen by company CEO Dai Powell as enabling its social goals: "You have to be an enterprise first, because if you don’t make a profit, you can’t fulfil that social mission.". HCTs commercial services allowed it to invest 18 per cent of its annual profits into non-commercial community transport in 2007/08. Its mission was to increase this to 30 per cent in the subsequent five years. HCT only competes for contracts that have high levels of accessibility and quality in the specification. "HCT sees the provision of high-quality public services as a goal in itself...and actively seeks user input into the design and delivery of all its services". The CEO claims "we don’t provide poor services for poor people – the quality has to be there”. HCT recruits volunteers to train people with learning difficulties and physical disabilities to use public transport independently. West Yorkshire Metro noted that a community transport provider "...spends its surpluses on transport services in the community which are not commissioned from public bodies" but that "Commissioning from the sector can however carry risks...organisations can lack capability and professionalism and be over reliant on individuals leading to instability". HCT Group is no more immune to labour relations problems than any other bus operator. The Socialist Worker described HCT as "no friend of workers" and its workers as "some of the lowest paid drivers in London". HCT Group prefers social enterprises and co-ops as business partners and suppliers; when they raised £500k impact investment from the Phone Co-Op in 2014, their CEO explained with investors as well as suppliers they want to "buy social". Hackney Community Transport was established in 1982 when 30 community groups in the London Borough of Hackney formed a pool of six vehicles with a grant from Hackney Borough Council to provide low cost van and minibus hire for local community groups and a door to door alternative to public transport for people with disabilities. The company's services were staffed by volunteers, but over the next decade a small group of paid staff built up to assist the volunteer workforce. In 2004 HCT was contracted by EduAction to deliver 500 local special needs children to school and back each day for London Borough of Waltham Forest from a new depot in Leyton. In March 2006 HCT expanded outside London to run eight yellow My bus school transport routes in and around Wakefield for West Yorkshire Metro, a further seven runs added in September and three more in September 2007. 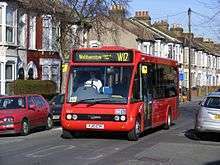 In July 2006 HCT merged with Lambeth & Southwark Community Transport. On 1 October 2006 HCT began to operate the AccessBus service in Leeds and in 2008, merged with Leeds Alternative Travel. In February 2010 CT Plus Yorkshire took over The Hull 701 Priory Park & Ride route, with the aim of investing any surplus from its park-and-ride operation to expand a local community transport service and to set up training for long-term unemployed people in Hull. In February 2010, HCT Group raised £5 million via a “social loan”. By 2010 HCT had grown by over a hundredfold since 1993 – from a turnover of £202k to a turnover of £23.3m in 2009/10. HCT Group's corporate strategy is to generate profits from providing commercial transport services, then to use these profits to provide community transport services for people unable to use mainstream transport. The two modes, public transport and special need transport, are fully integrated under their model: "the investment in responsive community transport services is made possible by running the commercial activity well". The Financial Times reported in 2010 that turnover had "grown by about 25 per cent a year for the past eight years and is expected to top £20m in the year to March 31, 2010, when profits will be around £1m.". HCT's rapid growth is achieved by merging with smaller community transport organisations. HCT Group CEO Dai Powell, in an article explaining the group's strategy, said the business aims to double in size every five or so years for the foreseeable future, seeing scale as ...crucial. The better we do commercially, the more we can do for the communities we serve as a social enterprise. The strategy is maximising the good that we do... to be as bold as a commercial firm, but to the benefit of our communities, not to the owners of capital. It also has the advantage of keeping our social mission absolutely central to our approach. Powell contrasted this approach to that of many third sector organisations where risk is to be mitigated at worst and eliminated at best. This is simply hopeless for rapid growth. He describes the process as ...so much more rewarding than spending your days "maximising shareholder value", whatever that means. ↑ Carr, Ken (May 2015). The London Bus Guide (5 ed.). Boreham: Visions International Entertainment. p. 122. ISBN 978-0-9931735-3-0. ↑ Carr, Ken (May 2015). The London Bus Guide (5 ed.). Boreham: Visions International Entertainment. p. 24. ISBN 978-0-9931735-3-0. ↑ British Association of Settlements and Social Action Centres website (4 January 2011). "Engaging the unemployed in a volunteer led community service - HCT Group". Archived from the original on 19 July 2011. ↑ Anca, Voinea. "The Phone Co-op invests in public transport social enterprise". The News Co-Op. Retrieved 10 April 2015.